My style as a performer has been compared to a cross between KT Tunstall, Bessie Smith and Jerry Lee Lewis. 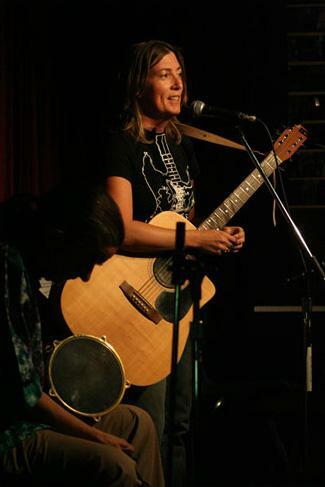 Originally classically trained on the piano, I�ve since branched out to other instruments, such as guitar and alto saxophone where my strong love of the blues continually influences my songwriting. I now play venues in and around Toronto, Canada with my band �Trish Kerr and the Divas� and being both the lead vocalist and a multi-instrumentalist makes for an entertaining experience. Audiences have said it�s amazing to watch a performer that �sings from the heart� move energetically and fluidly between instruments, sometimes mid-song. As one fellow female musician commented, �It�s nice to see a woman driving the bus�.